The Nigerian stock market is going through a bear run that is sending shiners down the spines of many investors. Operators and regulators are not equally spared of the anxiety that the market has brought. Specifically, the market has dipped by about 27.3 per cent from its peak in January, to record low last week. In all, the market year-to-date decline worsened to over 15 per cent last week, aggravating the anxiety among some investors who have short term focus. 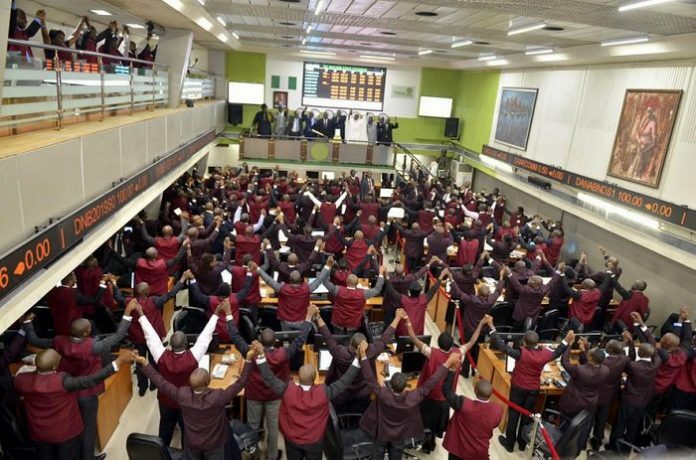 The Nigerian Stock Exchange All-Share Index (NSE ASI) closed at 32,327.59, while market capitalisation ended at N11.802 trillion, compared with 38,243.19 and N13.619 trillion at the beginning of the year. However, for investors whose strategy is long term, the current state of the market is a very good opportunity to buy more stocks and await the rebound. The good thing about what is happening in the market is that it is not caused by weak market fundamentals. Investor sentiments remained weak despite improving economic fundamentals signifying potential growth for companies. According to analysts at Afrinvest (W.A), a Lagos based investment banking firm, while some of the factors that have pressured the performance of the market in recent times have dissipated, risk factors such as, increasing incidences of trade protectionism, rising treasury rates in advanced economies and systemically important central banks as well as emerging market (EM) frailties still linger and are impacting negatively on the Nigerian market. Apart from this external factors, the political uncertainties are major internal factors affecting the market. Analysts had said general elections uncertainties would make investors to adopt cautious trading in equities. “In line with historical trend, investors tend to reduce exposure to risky assets in the year leading up to general elections and this is similar to the situation in Nigeria. The one thing investors detest is “uncertainty” and as such, this downside risk is expected to worsen as 2019 general elections draw closer,” they said. Emerging markets (Ems) have been in a turmoil since early 2018 with massive sell-offs seen across asset classes. This was initially prompted by the reaction of foreign investors to rising yields in advanced economies, but lately, trade protectionism and emerging country-specific risk factors are featuring prominently. Most notably, Turkey and Argentina have been significantly affected, with the Turkish Lira depreciating 40 per cent against the dollar so far, while inflation levels have exacerbated to 17.9 per cent, highest level since 2003. Similarly, the Argentinian Peso has lost 52.0 per cent against the greenback YTD, as EM sell-offs impacted the economy severely, propelling the monetary authority to raise benchmark rate to 60 per cent on the 30th of August 2018. According to analysts, massive funds outflows from EMs have affected currencies of other countries such as Indonesia, South Africa, Thailand, Russia and India amongst others, while the MSCI EM index – which captures stocks with large and middle size capitalisation representation across 24 EM countries – had declined by 8.8 per cent as at the of August 31, 2018. In opinion of Afrinvest, the contagion effect of emerging and frontier market routs resulted in a moderate slowdown of portfolio investments into Nigeria in first half (H1) of 2018. “Sadly, this is expected to continue impacting sentiments as foreign portfolio participation in domestic equities remains feeble. Furthermore, persistent sell-offs, especially in H2:2018, cannot be dissociated from increasing political and policy risks, which historically define election cycles in Nigeria. 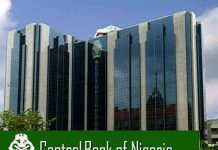 “Nonetheless, we do not expect these to have substantial impacts on the broader macroeconomy given the relative stability in external economics (particularly steady and positive outlook in oil market) and the commitment of the Central Bank of Nigeria (CBN) in achieving a stable foreign exchange market,” Afrinvest said. Stockbrokers said the activities, actions and utterances of some politicians is heating up the system and preventing investments from the stock market. According to brokers, the unguarded activities and unrestrained utterances of our politicians are heating up the polity with dire consequences on the economy as a whole and the capital market in particular. “Perhaps we may remind the political class that uncertainties and all sorts of insecurities that currently pervade our country affect investors’ sentiments, asset valuations, market and country risk profile and portfolio allocation decisions. In recent times, trading statistics on the securities markets in Nigeria have been reflecting investors’ apathy to unprecedented level of tension that portends likely breakdown of law and order in the 2019 general elections,” they said. ASHON explained that it is an unassailable investor-behaviour that bad news trigger market panic and investors over react to such news, adding that innocent investors watch helplessly as their investments are plundered by the bearish market exacerbated by prevailing uncertainties in the polity created by the political class. “As the country’s economic barometers, the securities markets in Nigeria have continued to reflect investors’ apprehensions to instability in the political and economic landscape through all their indices. This has largely accounted for the inability of our market to fully recover from the effects of the 2008 financial crisis , notwithstanding the efforts made by the regulators and operators to fully revive the market. There is clear and present danger if the trend continues,” it said. The stockbrokers said foreign portfolio investors and their indigenous counterparts have embarked on massive sell down of shares and other financial instruments with attendant effect of gross erosion of values despite stellar performances of many listed securities. The persistent bear run has depressed the prices of stocks to levels that have made them attractive to buy. Given the fact that capital appreciation is hard to come due to the bear run, discerning investors should settle for dividend-paying stocks, taking advantage of their current low prices. THISDAY checks revealed that some of the stocks which regularly reward investors with dividends are trading at prices below what they opened the year with. For instance, Nigerian Breweries Plc, which pays almost 100 per cent of its profit every year as dividend, is trading 23.6 per cent lower than the year’s opening value. 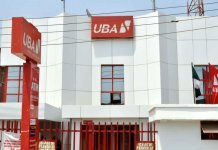 Zenith Bank Plc, which recently declared an interim dividend is 10.4 per cent lower, while Union Bank of Nigeria Plc and United Bank for Africa Plc are 26.9 per cent and 18.9 per cent respectively lower than their year’s opening prices. Dangote Sugar Refinery Plc, which raised dividend paid last year, is 24.1 per cent. Similarly, Dangote Flour Mills of Nigeria Plc is 37.4 per cent cheaper. 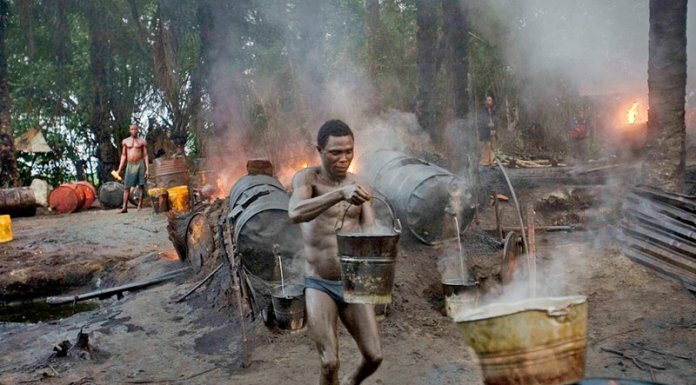 Others are: Fidelity Bank Plc (34.5 per cent); PZ Cussons Nigeria Plc (31.8 per cent); Flour Mills of Nigeria Plc (24.1 per cent); Honeywell Flour Mills Plc (25.2 per cent); Berger Paints Nigeria Plc (22.8 per cent); Total Nigeria Plc (20.4 per cent);United Capital Plc (14 per cent); CAP Plc (16.6 per cent); and Conoil Plc(13.2 per cent). The petroleum products marketing firm is a regular dividend payer. It paid a dividend of 200 kobo for 2017. And given the performance of the company for the half year ended June 30, 2018, shareholders would equally enjoy higher dividend. Conoil Plc grew its turnover by 21.3 per cent from N44.93 billion in 2017 to N54.48 billion in 2018. Gross profit rose from N5.99 billion to N6.39 billion, while profit before tax increased to N809.78 million as against N627.91 million. 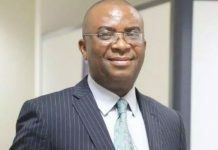 Profit after tax grew by rose from N427.29 million in 2017 to N550.65 million in 2018, translating to 29 per cent appreciation. On their part, analysts at Meristem Securities Limited stated that the bearish performance would not last for a long time. They have said that rather than panic, investors should take advantage of the bear market. “With stock prices bottoming out, light gleams at the end of the tunnel. The low prices in the market provide investment opportunities for players in the market, but of course, with a focus on the fundamentally justified stocks,” they said. The analysts explained that the 2019 elections have posed a major concern for most investors which has caused them to withdraw their funds from the market, thus making profit volume opportunities after the election become more visible. “We believe that after the elections in February 2019, calm will be restored in the market. It is only fair that you don’t get caught sleeping so why not you buy now, ahead of 2019?,” they said. They added that investors should also consider companies which are important to the growth of the economy. “Consumption is a given and the government will always carry out infrastructural projects and works. Consumer staples and the elephant in the industrial goods sector lead the way here,” they said. Other stocks investors should consider, according to the analysts, are dividend yielding stocks. “Dividend yielding stocks always provide an extra income stream for their holders. Even when stock prices are falling and there is no capital appreciation, dividend income provides some comfort. With prices on the low end, dividend yield becomes even more attractive,” they said. Another strategy they advised to be used is block buying of stocks. “Prices have been on a downward spiral and as low and attractive prices may seem, there is always room for a further slip, which means there is always an opportunity to buy at the cheapest price. You might want to buy in bits and pieces so that if the axe falls, you get to enjoy the lower price, while obtaining your target volume,” they said.